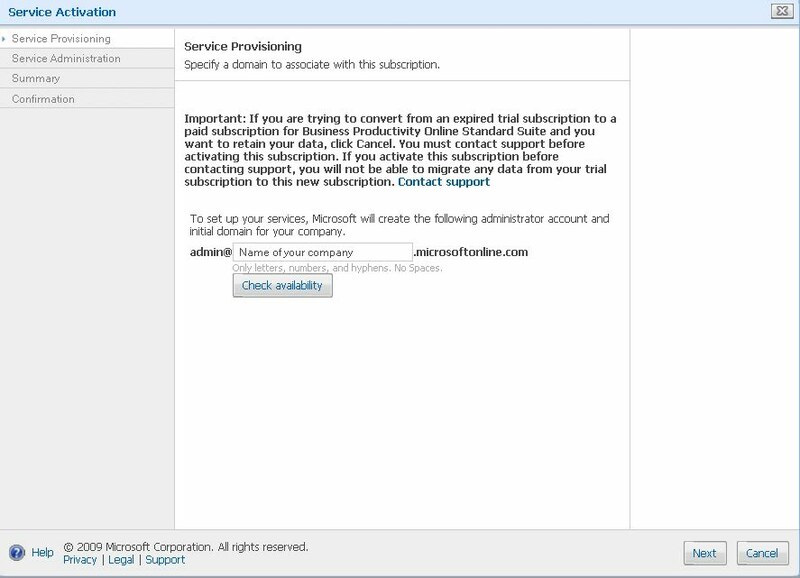 Customers that have a relationship with 5thnk, a Microsoft Online Services Partner and have designated that 5thnk as their “partner of record” will see 5thnk on their subscription invoice. Partners are technical and business professionals who specialize in Microsoft products, and they are an important part of Microsoft’s delivery of your software services. 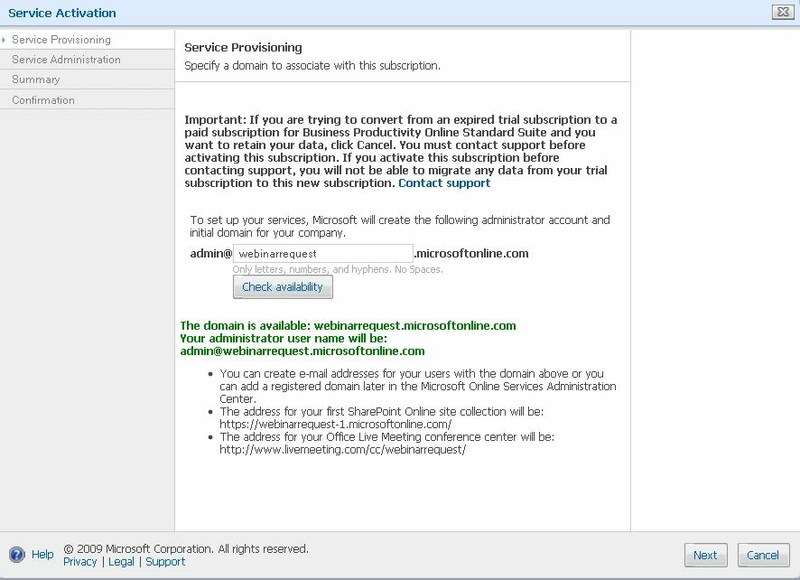 Screen Shot 1. choose an internal domain choice presents itself to you. 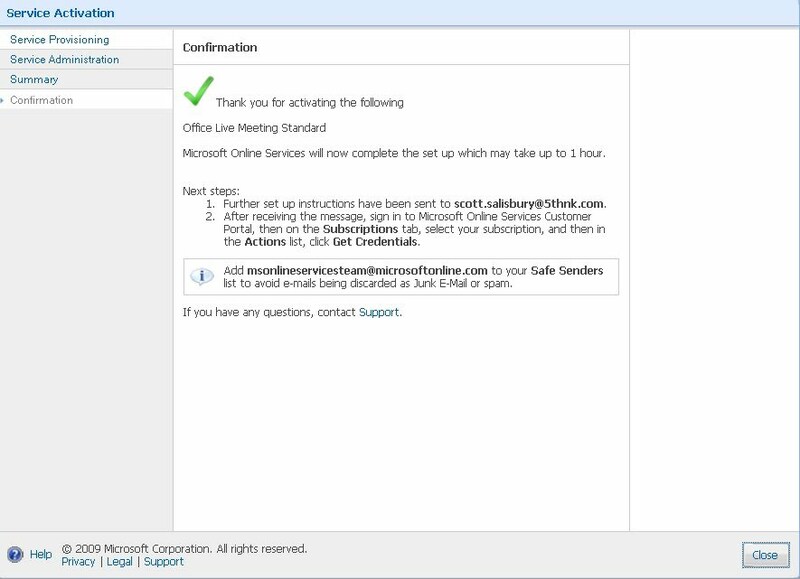 Screen Shot #2 The Service that was activated here is Microsoft Live Meeting, which is an online presentation software tool. Webinarrequest seemed like a logical choice for the domain name. 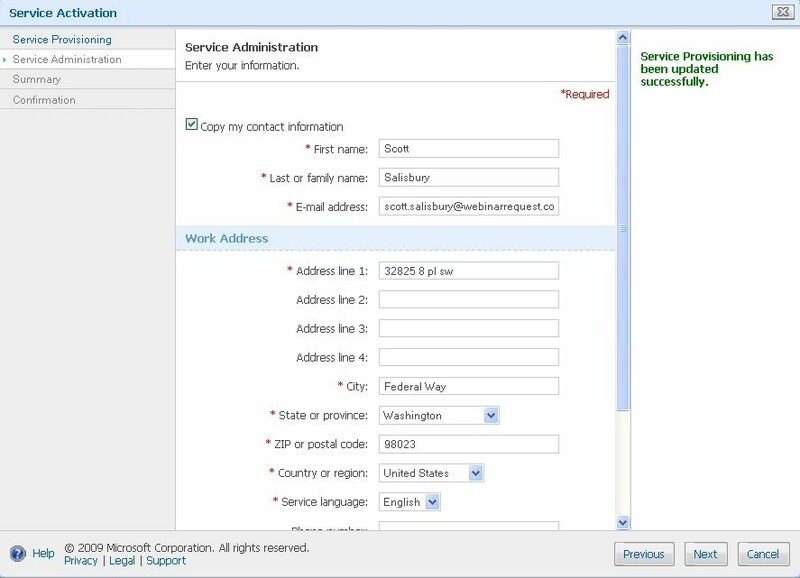 Screen Shot #3 This screen shot shows entry fields for your admin.